• Policy should be under one of the eligible products. • Policies issued at standard rate or with extra premium other than health extra. • Premium should have been paid till at least 01 Nov 2016. All products other than Term assurance and Health Insurance. List attached below. 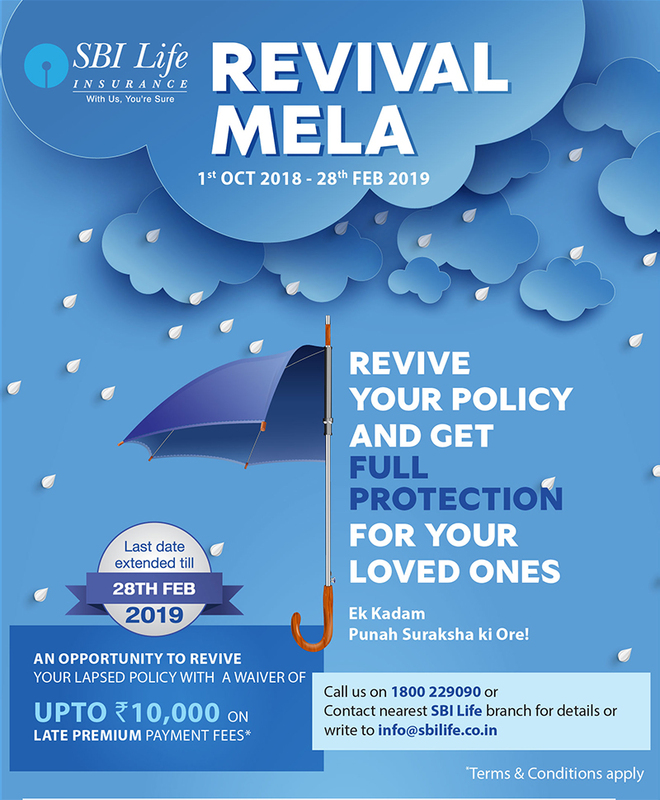 Revival is subject to Policy terms and conditions and underwriting decisions. Policy cannot be revived after the expiry of the revival period or maturity of the policy. We may accept or reject the revival request. We will inform you the same.